The novels and short stories of Edith Wharton are still on the reading lists of the more progressive women's colleges in the United States, and some of them are even read from time to time. However, my interest in Mrs Wharton is based on her life-long passion for garden design on the grand scale and on her excellent book, "Italian Villas and their Gardens" which was published in 1904 and is scarce in its original edition. As a substitute or additional read, I can recommend Edith Wharton's Italian Gardens by Vivian Russell, who visited and photographed the surviving gardens described by Mrs Wharton. Although Mrs Wharton (1862-1937) is often tarted up by English Literature departments as something of a rebel, her birth in 1862 into the richest of the rich class of "Old New York" made possible not only her fictional writings, with their insider's view of America's privileged classes, but, much more importantly to me, made it natural that she would travel extensively in Europe and allowed her to create a wonderful house and garden, "The Mount", near Lenox, Massachusetts, and to recreate a second one, "Le Pavilion Colombe", at Saint-Brice-sous-Forêt. These houses and estates were created according to the principles elaborated in her book The Decoration of Houses (1897), co-authored by Ogden Codman, and drew heavily upon her observations of the villas and gardens of Tuscany, especially of the Medicean villas. She wrote in Italian Villas and their Gardens that gardens should be divided into rooms and planned in concert with the house and the natural landscape, a Classical concept revived in Renaissance times. 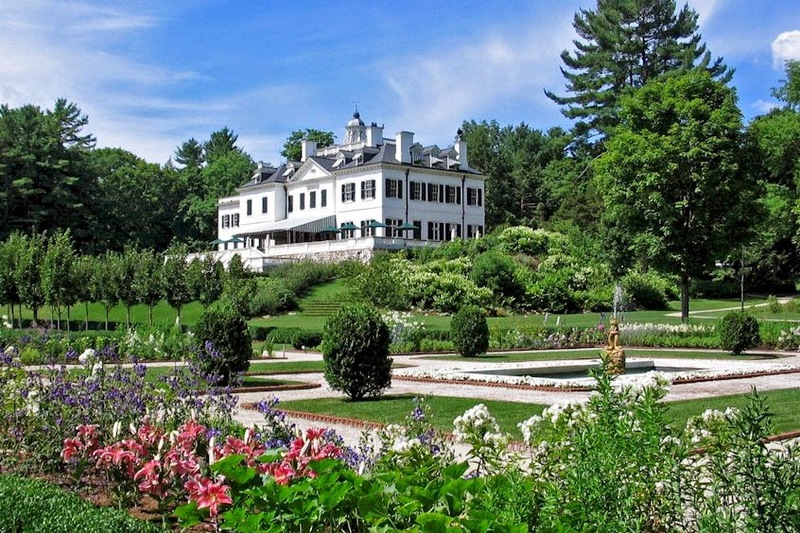 "The Mount", Edith Wharton's house and garden at Lenox, Mass. 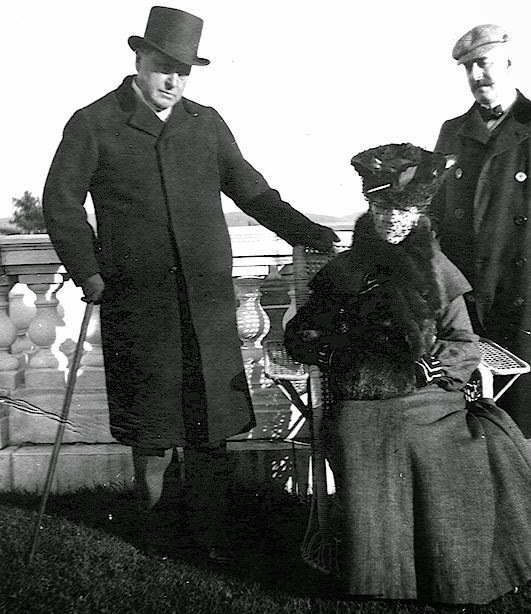 Edith Wharton's parents were George Frederic Jones and Lucretia Stevens Rhinelander, and the saying "keeping up with the Jones" is said to refer to her family. After the end of the Civil War, her family traveled extensively in Europe. From 1866 to 1872, the Jones family visited France, Italy, Germany and Spain. During these travels, Edith became fluent in French, German and Italian. When at home in the United States, the Joneses spent their winters in their New York mansion and their summers in their Newport "cottage". 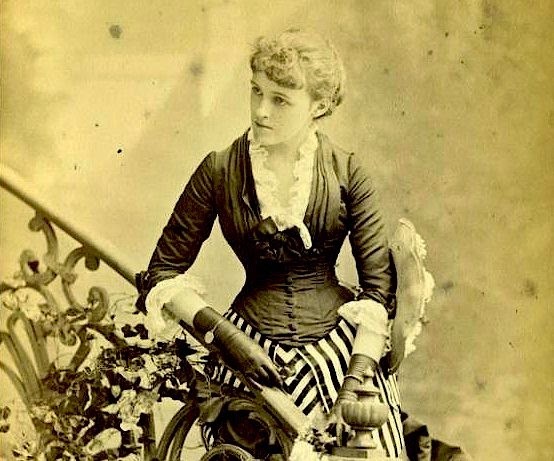 In 1885, at age 23, Edith Jones married Edward (Teddy) Robbins Wharton, who was 12 years her senior. Wharton was from a well-established Boston family, and was a sportsman and a gentleman of the same social class, and shared her love of travel. Unfortunately, the marriage began to deteriorate, in part due to Teddy Wharton's severe depression, and Mrs Wharton eventually moved permanently to France. During World War I, she remained in her Paris apartment and was an ardent and effective supporter of the French war effort. Edith Wharton was an indefatigable motorist and was driven throughout Europe by her chauffeur Charles Cook in amazing, usually huge, cars that were often one of a kind. Her tours resulted in some excellent travel writing, including her book Italian Backgrounds and of course, Italian Villas and their Gardens. 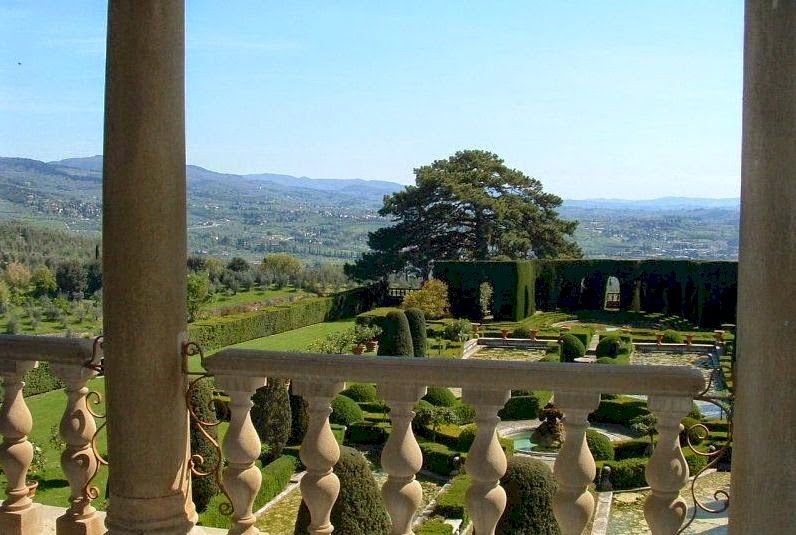 One of her favorite Tuscan gardens is also a favorite of mine, namely Villa Gamberaia, located on the outskirts of the village of Settignano near Florence. Bernard Berenson was another Florentine friend of Mrs Wharton and his Villa I Tatti is about a mile away from Villa Gamberaia. Villa I Tatti belongs to Harvard University and is not easily visited, but Villa Gamberaia is still in private hands and one can not only visit the gardens but it is possible to stay in one of the guest houses within the garden. Edith Wharton passed away on 11 August, 1937 at Le Pavillon Colombe, her 18 C house on Rue de Montmorency in Saint-Brice-sous-Forêt. She was comforted by her friend Mrs Royall Tyler, a native of Florence, born Elisina Palamidessi de Castelvecchio (sometimes styled "Contessa" - including by herself - but, although her mother held that title, it was not hereditary and she had no right to it). 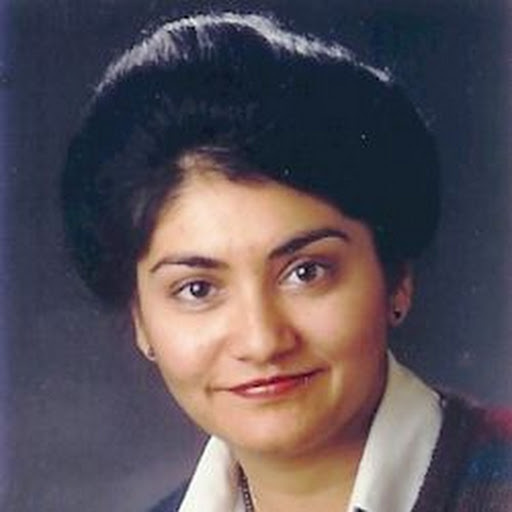 She was the wife of a famous Bostonian historian educated partly at Harrow and Oxford, with extensive European connections. My friend Paul Chipchase knew their son, William Royall Tyler, himself an eminent American abroad, and passed on to me many interesting reminiscences of Mrs Wharton. I can strongly recommend the excellently written and beautifully illustrated recent biography of Edith Wharton by Eleanor Dwight. Everything you need to know is here along with masses of rare photographs. R.W.B. Lewis wrote an earlier and highly regarded biography of Edith Wharton which I am about to read. I'll report back on that later. There is a further recent biography of Edith Wharton by Hermione Lee. This latter runs to 850 pages, including masses of analysis of Mrs Wharton's fiction. I doubt that I'll read it. 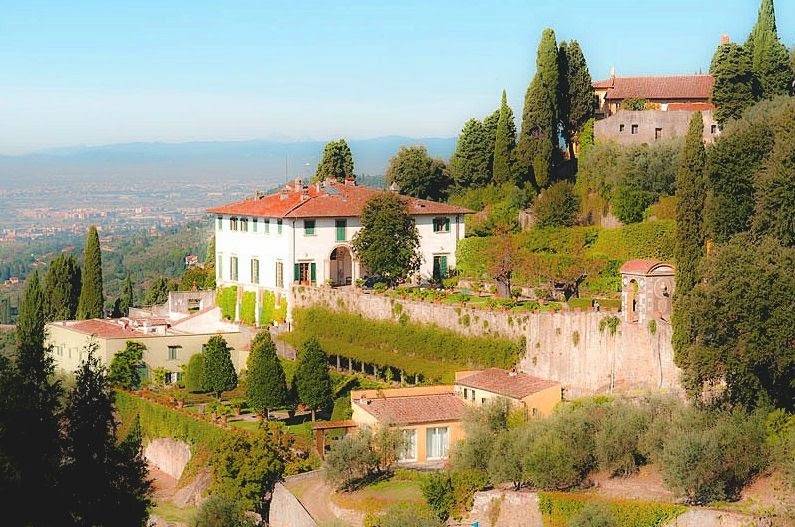 Among the villa gardens near Florence that Mrs Wharton described in her book are Villa Petraia, Villa Demidoff (Pratolino), Villa Medici at Fiesole, Villa Corsini near Impruneta, Villa Gamberaia and Villa Capponi at Arcetri. Click here for more information about vacation accommodation and events opportunities at Villa Gamberaia. 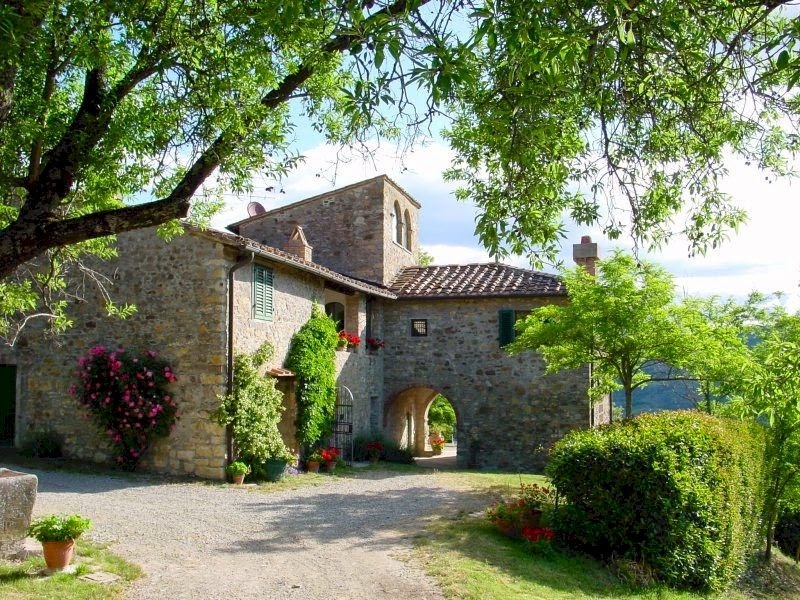 Up-to-date news on what to see and where to stay in Chianti and all of Tuscany. All content copyright © ammonet Infotech website promotion 2015. All rights reserved.